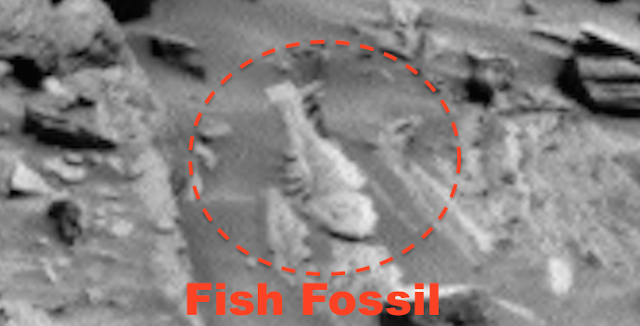 UFO SIGHTINGS DAILY: Second Fish Found On Mars In One Month, April 15, 2016, Photos, UFO Sighting News. Second Fish Found On Mars In One Month, April 15, 2016, Photos, UFO Sighting News. This is the second fish I found in a month. To see the first one, click here. 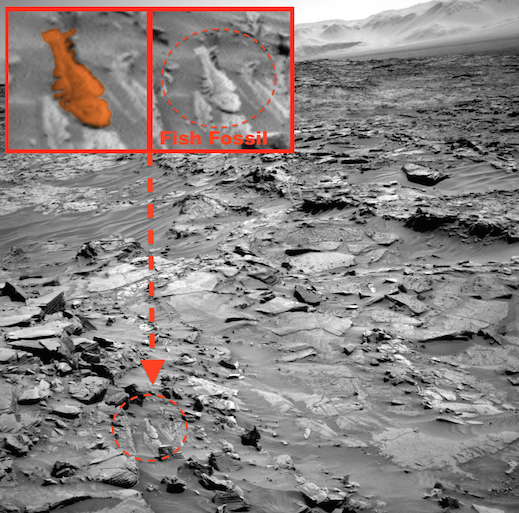 More proof that an ocean or lakes covered the Mars surface, but NASA already said that earlier this year. This fossil is mostly intact, and the head and tail are easy to make out. Also the upper and lower fins are very spiky in appearance. Cool looking fossil fish for sure. Remember that a fossil is an animal or plant that has turned to rock. The actual animal is no longer there. All DNA has been replaced by minerals around it. 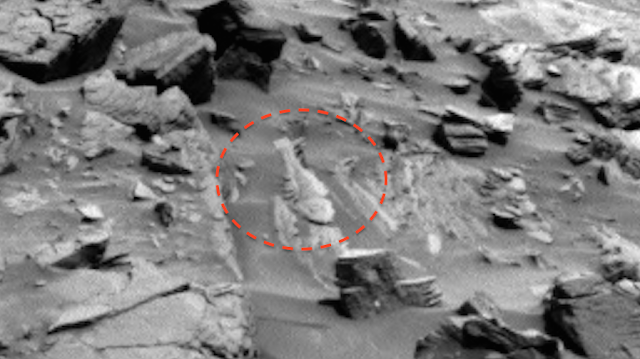 Another thing to consider is that this is that this fossil is just a few meters from the Mars Curiosity Rover. NASA had to have seen it, but why didn't they want to tell the public about it? This photo is was just uploaded to the NASA site today. 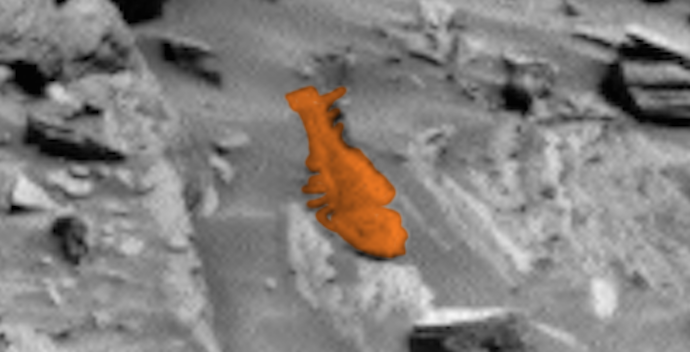 NASA...why are you ignoring evidence of life on Mars?